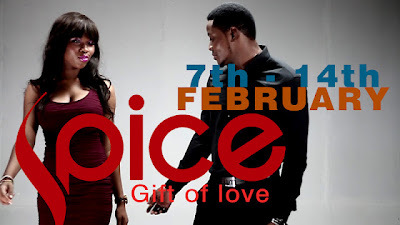 The month of love and romance Spice TV has decided to ‘treat’ our lovely readers dearly by giving out fantastic gifts courtesy of six A-list Nigerian designers…Oh did we mention they’re fabulous gifts you will love? Follow the simple steps below and you’ll probably be winning a real gift from amazing Nigerian designers this February. Beatrice Black Atari. Contestants should however note the following; Images of the two pieces to be won daily will be tweeted alongside info about the designers, so you get a chance to get familiar with the designers. All 14 winners get invited for a fashion shoot with top of the range photographers like – Hakeem Salaam, Yinka Obebe, Kelechi Amadi-Obi, Obi Somto, Yetunde Ayeni Babaeko, Mousa Mousa and Toni Tones ; makeup artists, stylists and as well get to meet the designers. All the razzmatazz, makeup, styling, photo shoot, Champagne gets you on TV as all 14 episodes of the making of the shoot will be created for TV and the Web giving you your own mini reality TV show! It starts from the 7th of February till the 14th of February 2012; all you need is a first step, follow @SpiceTVOnline on Twitter. British Council: Education UK… Registration is on!!! Event : Sunday @ The Bay this July !!! !